There hasn’t been very much written about Foursquare. When I did a search for the number of books on Foursquare compared to Twitter, Facebook and LinkedIn, I wasn’t surprised to find that Facebook had the most and Foursquare had the least. Twitter came in at number 2 and LinkedIn at number 3. Like with many other social media channels, I was an early adopter of Foursquare – but I haven’t quite “gotten it” yet. And now with Facebook and Twitter having geo-tagging features, I’m wondering if Foursquare has any value for small business. I mean it’s just one more thing to take up your precious time – right? I received a review copy of The Power of Foursquare: 7 Innovative Ways to Get Your Customers to Check In Wherever They Are from the publisher and was really excited about reading it because I simply hated not having a good grasp of Foursquare and how to use it in business. The author, Carmine Gallo (@CarmineGallo), who had also written The Innovation Secrets of Steve Jobs which I’d read and reviewed. He approaches Foursquare with a sense of curiosity rather than expertise. This approach and tone left me feeling like I was in a conversation of discovery, rather than being taught something by an expert. There is a reason for Gallo’s deft writing style; Gallo is a former anchor and correspondent for CNN and CBS and has served as a communications coach for the world’s most trusted brands. Gallo’s talents in news reporting give Foursquare the feel of an informational and educational news story. Before reading this book, I was rather lukewarm on Foursquare. At the time, I just didn’t think that it was a power tool for my business. It seems like the businesses that benefit most from Foursquare are local consumer-based businesses such as retail outlets, realtors and big brands. The focus of Foursquare is its geo-tagging function and ability to connect you to the people and places that you might find interesting. So if you’re in a business that doesn’t stand to benefit from people gathering in and around your physical location – then you might decide to pass on this book. That would be a mistake. I couldn’t believe the variety of businesses that use Foursquare! The list ranges from NASA (yup – the astronauts checked in from outer space) to a Manhattan matchmaker. The success strategies they used to engage customers was inspiring. If you’re a business owner who has been curious about Foursquare but hasn’t yet discovered how you can use it to get and keep customers, then this is the book for you. 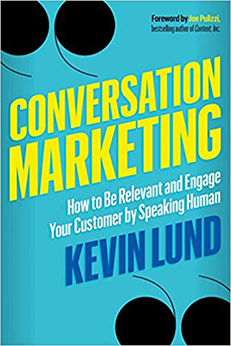 This book is a collection of over 50 case studies of both businesses and big brands and how they used Foursquare to engage their customers and transform their business. He’s interviewed hundreds of people; business owners, Foursquare experts as well as the owners and executives inside of Foursquare. The result is a mix of Foursquare 101 education coupled with practical examples and case studies that you can lift from the pages of this book and apply inside your business. One of my favorite examples is that of Joe Sorge, owner of AJ Bombers restaurant. Joe had sold the restaurant and then taken it back because it was doing poorly. He locked himself up in an office for six months, focused on using social media to revive the dying restaurant. He started with Twitter and saw success. But it was Foursquare that took his business to the next level and put his restaurant on the Food Channel! What I appreciate about this example and many others is that the companies that were featured weren’t brilliant. They weren’t even lucky. They were focused on a target market, clear about their objectives and then opportunistic and flexible about how they would achieve them. The book consists of sixteen chapters that toggle between teaching you about Foursquare, it’s features, functions and strategies and then showing you how a variety of businesses have used Foursquare to transform their business. At the end of each chapter there is an “Unlock the Power” section where you get the summary strategies and tactics that you can implement inside your own business. Retailers, local merchants or brand managers are the ideal audience for this book. There are ample examples and strategies to bring some interesting engagement and zip to your marketing plan. As a person who doesn’t fall firmly into these categories, reading this book showed me how important it is to fully explore new social media tools and applications and look for creative ways to use them. Even professionals whose business depends on a personal brand can use Foursquare. It’s more of a stretch and requires some creativity, but after reading this book, you will certainly have the ability to create a Foursquare strategy. Despite users are checking in at the rate of 23 times per second, Foursquare isn’t as big in small towns as it is in bigger cities. But there is no reason why it shouldn’t be. What I’m saying is that Foursquare is a proven way to get and keep customers and it isn’t as overcrowded as Twitter and Facebook. Pick up a copy of The Power of Foursquare and find all kinds of new ways to pick up new and loyal customers. You can also get a free chapter on the website for The Power of Foursquare. I am very glad this topic has been added to the business book market. Mobile is becoming an essential component in successfully marketing a business. Foursquare links mobile and offline marketing such that newcomers can envision a campaign. I like how you noted that it’s not “overcrowded” – it means opportunity to engage customers and enhance Twitter/Facebook usage. I am not surprised about small town usage being less than urban area, but it also means different campaigns may be needed. 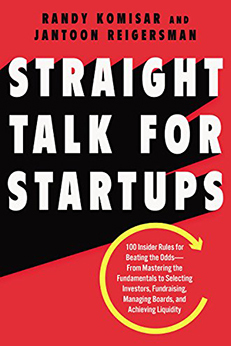 Thanks for bringing this book to the Small Business Trends community. Most importantly, thanks to Carmine for writing it. Ivana, This book may answer questions I’ve had about how I could use Foursquare for a Web business. I’ve had a Foursquare account for years, but never could figure out how to make it work easily for Small Business Trends. So I am delighted to hear you talk about this book demonstrating the potential with ideas…. I see big potentials for check-in services like Foursquare, Gowalla, Sonar, Roamz, Oink, etc. Did you know that Facebook recently bought Gowalla? The local will be the new global, using location based services. A small business owner could reach out to loyal customers who could spread the good word, by checking in at the facility. You could practice Gary Vaynerchuk’s idea of “the thank you economy” in a great way. At the Social Media Club meeting in Gothenburg in October, 2011, I recommended the participants to listen to John Jantsch’s interview med Carmine Gallo. I have 34 mayorships and 13 badges at the moment. I have done 687 checkins during 244 days. Thanks for sharing your reviews about this book. I really look forward to read this book.